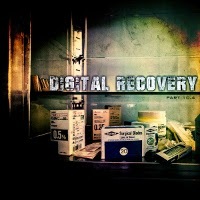 Cold Therapy's song "In Excelsis" released on the compilation "Digital Recovery: Part 10.4". The sales for this album will be donated to Digital Recovery contributor Joe Virus (Solemn Assembly / Ghost Dial). Joe was diagnosed with a brain tumor in 2009 plus other medicals ailments. Thanks for all your support man. We all wish you a speedy recovery.